LITTLE ROCK, AR--(Marketwired - October 24, 2014) - Coinciding with a week-long series of events such as the ARK Challenge Demo Day, the Arkansas Technology Summit, Tech Cocktail's Arkansas Celebration Mixer and other events commemorating the 10-year anniversary of the Clinton Presidential Library, the Arkansas Venture Center will host Frank Gruber, author and co-founder of national startup media company Tech Cocktail and national startup community visionary Michael Burcham, the President & CEO of the Nashville Entrepreneur Center and co-chair appointee of the Secretary of Commerce's National Advisory Council on Innovation and Entrepreneurship. Gruber will discuss his new book, Startup Mixology: Tech Cocktail's Guide To Building, Growing and Celebrating Startup Success. 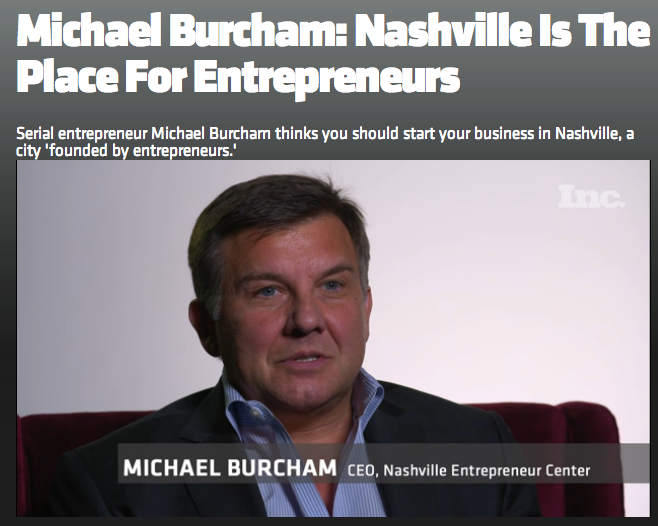 Nashville Entrepreneur Center CEO Michael Burcham has been named co-chair of the National Advisory Council on Innovation and Entrepreneurship. Burcham is one of 27 council members who will advise U.S. Secretary of Commerce Penny Pritzker on issues related to innovation, entrepreneurship and the development of a globally competitive workforce.The group, abbreviated NACIE, operates as an independent entity within the Office of Innovation and Entrepreneurship, which housed within the U.S. Commerce Department's Economic Development Administration. I embraced my Personal Brand... which is very witty! This weekend we are handing over the reins of our Facebook page to Burcham, the CEO of the Nashville Entrepreneur Center. 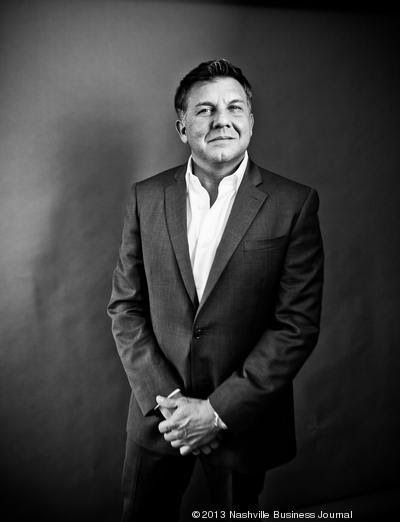 A pioneer in Nashville’s startup scene, Burcham will serve as the page's guest editor, posting content and ideas that we believe will challenge and inform other Nashville-area leaders. Michael Burcham, the Kiwanis Club’s 2013 Nashvillian of the Year, will be honored at a luncheon on Friday. The head of the Nashville, Tenn., Entrepreneur Center will speak Feb. 13 to the Greater Sarasota Chamber of Commerce's annual Kick-Off Breakfast.